This post is also available as a column on Forbes here. The 2015 legislative session started this week in most states and taxes are already proving to be a hot issue. Maine Governor Paul LePage made a splash in headlines last Friday with a well-thought out plan to lower individual and corporate income tax rates, a Nebraska think tank has a full-fledged proposal for comprehensive tax relief, and Texas legislators are poised to potentially repeal the state’s complex and problematic Margin Tax, a business levy that no other state has. In Maine, LePage is the first governor to throw a comprehensive plan up for discussion this year. The proposal is far reaching (we have all the details here), but the highlights include phasing the top individual income tax rate down from 7.95 percent to a more competitive 5.75 percent by 2019 and phasing the top corporate rate down from 8.93 percent to 6.75 percent by 2021. To offset some of the revenue loss, the plan increases the state sales tax by one percentage point to 6.5 percent, while expanding the sales tax base to some services that currently have a sales tax exemption. On net, this a very good proposal. While some might get bent out of shape about the sales tax increase, economists generally find that taxes on corporate and individual income are more destructive to economic growth, and taxes on consumption and property are less so. To boot, the corporate and individual income tax cuts are bigger than the sales tax hike—revenues overall would be cut by $267 million per year as of fiscal year 2019, with more cuts coming in future years as the plan continues to phase in. 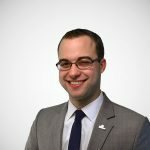 The plan is projected to improve Maine’s ranking in the Tax Foundation’s State Business Tax Climate Index from 33rd to 23rd if fully implemented. In Nebraska, the group leading the charge on taxes is the nonpartisan Platte Institute, which has a well-branded plan—their video about taxes will make you cry—called “Strong Roots Nebraska.” Their package would put individual and corporate income taxes on a trigger schedule which modestly cuts rates when revenues are healthy. Over a couple of years these modest cuts could add up to sizable tax relief: the top individual income tax rate would fall from 6.84 percent to 5 percent and the top corporate rate from 7.81 to 5 percent by 2023. The success of this plan will be reliant on whether Nebraskans can avoid property tax hysteria. Some in the state are making the argument that property taxes are a more pressing problem than income taxes and the state should increase aid to local governments, then those localities could ostensibly use that money to cut property taxes. This is a shell game. The Platte Institute points out that the state income tax was actually created in 1967 because people were upset about property tax burdens. Fifty years later, the state now has some of the highest income taxes in the region, and some of the highest property taxes, too. If you give localities additional revenue, they won’t necessarily turn around and deliver a tax cut. Ultimately, property taxes are a local levy. Taxpayers shouldn’t look to complex state-driven schemes to lower them; reforms must instead come from cities and counties. Finally, in Texas legislators might finally repeal the state’s obscure Margin Tax, a gross receipts-style tax that Texas levies instead of a corporate income tax. While the state’s tax code has a lot of things going for it, this tax isn’t one of them. The state currently ranks 10th in the 2015 State Business Tax Climate Index, but would improve to 3rd if the Margin Tax were repealed. 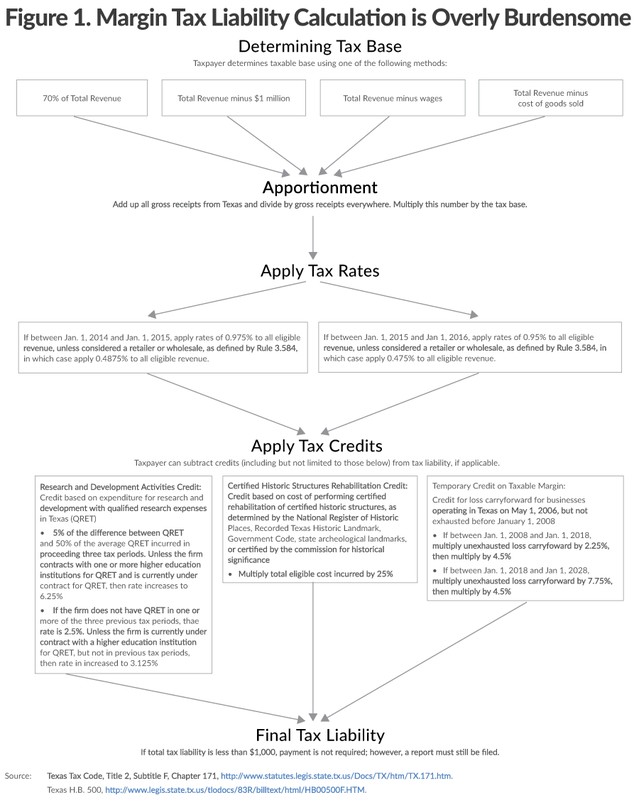 Calculating the tax is like a choose-your-own-adventure story (see this flowchart). To file, you have to calculate four different tax bases (you pay the lowest one), then there are two different rates depending on whether you are a wholesaler/retailer or any other business, then you subtract any credits you might be lucky enough to be applicable for. Finally, if your total bill is less than $1,000, you just wasted your time, because you don’t owe anything—but you still have to turn in the form. Needless to say, this tax is very unpopular (though it does keep a lot of accountants employed), and by one count, 89 bills were filed in the Texas legislator last session aimed at either repealing or reforming the tax. 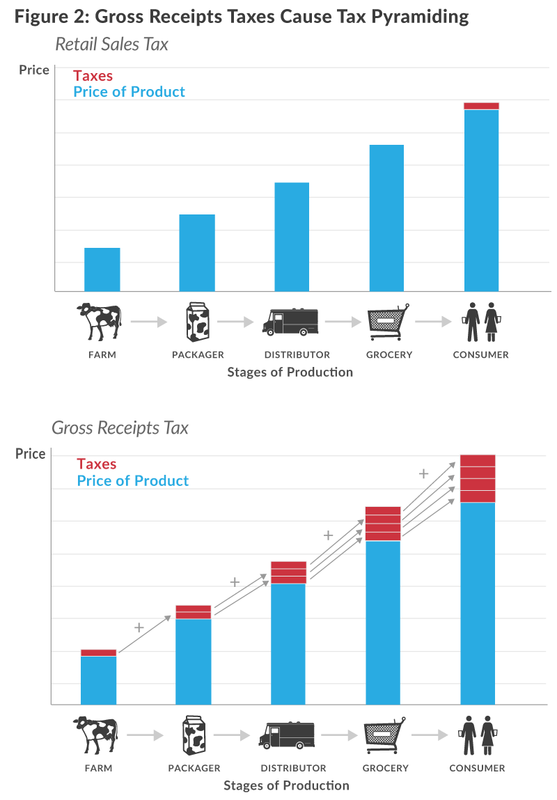 Expect a lot of conversation around this tax to use the term “tax pyramiding.” Because the tax is based on gross receipts, taxes stack on top of each other as products move through the production chain, as opposed to say, a sales tax, which is only levied at the point of final sale. Check out our full report here. If these initial stories are any indication, 2015 is slated to be a big year for tax reform. Stay tuned, there is a lot more to come!